A whole week since I posted….naughty me! As usual it’s been a busy week, but enough excuses! Wedding Season officially kicked off for me this weekend with the wedding of two dear friends. They met in uni about 7 years ago (gosh that’s a long time) and they have been together ever since. They had a Nigerian Traditional marriage in December 2011 and on 29 April 2012 got married in the Church. I was so Blessed to witness a beautiful union between great friends…..the music and food was on point too! 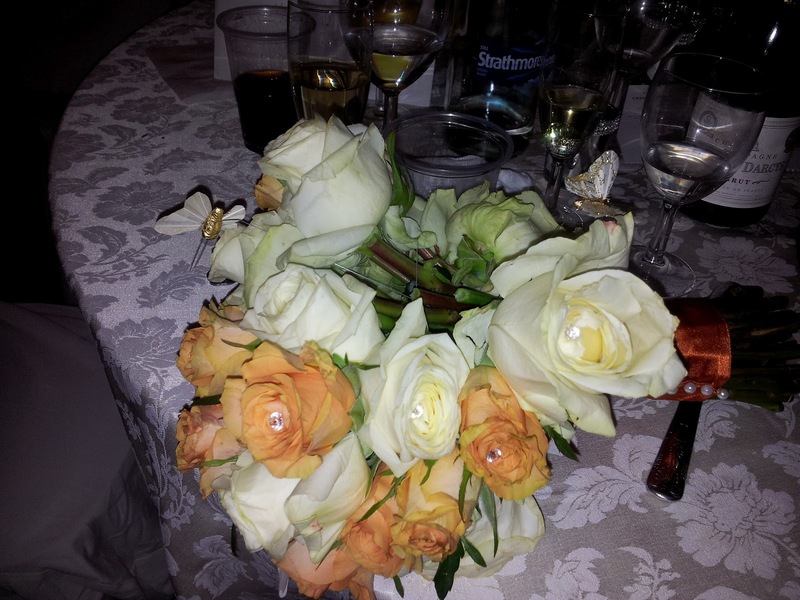 I even caught the bride's bouquet……. Heaven was happy too – so happy the angels cried all day, all night and even as I write this post :¬). Our clothes and shoes got wet, but not our spirits! It was great day. Needed comfy shoes - not really a heels girl and I can't drive in heels! my competitive streak got the better of me!! It’s weird because I do not usually have many weddings to attend. But with time and age, a lot of my friends are settling down. I have two more weddings to attend in June and July, plus there have been several engagements in the last couple of months. that's true that all those kind of events come with time and age. i just attended my first bachelorette party last weekend and yesterday was my other friends wedding:) seems like spring is perfect for wedding hehe. I love the subtle shades of your outfit! and the bag and shoes have such a nice color block! Hope you are having a wonderful day!